This year’s Email Industry Report is now available and we definitely think you’ll find the results worth the wait. However, in this article, we want to specifically talk about what the insights from this report should mean for those of you working in public relations. If your main concern is drawing positive attention to your company, email is still as valuable as ever, but it’s important you know exactly how to use it. After surveying more than 200 companies and interviewing 25 recognized marketing experts, our 2018 Email Industry Report is the best version yet. Here are five insights about email that we know will help your PR business. There are more tools for PR professionals out there than ever before. No matter what industry you’re focused on or what your clients’ specific goals are, there is no lack of tools that will help you do your job better. Nonetheless, despite how many new additions joined the field this year, email hasn’t budged. As our report found, it’s still the king of content. 59% of the organizations we interviewed reported that email was producing their highest ROI. The first runner-up went to social media—a perennial favorite among PR professionals—but it only garnered 21% of the total vote. Furthermore, 25% of the companies we spoke with told us they planned to significantly increase their email-marketing spending in the coming year. It’s fantastic for content distribution and provides hard metrics for measuring success. It seamlessly integrates with social media and the two complement each other well. It’s a one-on-one channel, which allows for building strong relationships. This last benefit is especially important for people in PR as much of the job often involves finding guest-posting opportunities for clients who need greater exposure and positioning as an authority. Landing those guest-posting opportunities can begin with conversations through social media, but a professionally-written email is eventually important. The days of writing one email—with nothing but copy—and sending it to a long list of recipients are, fortunately, behind us. As it turns out, most people weren’t fooled by having their first name included in the subject line and no one wants to be treated like a number. In fact, 84% of customers report that being treated like an individual is the best way to win their business. 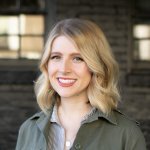 Personalization does this by allowing you to use the information you’ve collected about your recipients to create emails that appear tailored, relevant, and highly-curated just to them. Now, the advantage for PR professionals is clear. Whether you’re emailing a list of prospects or a list of people you wish to pitch, you often don’t have time to sit down and type out an entirely unique message to each recipient. With personalization, you don’t have to, but you also don’t have to worry about sacrificing results. Another big advantage: if you utilize personalization, you’ll most likely enjoy quite the competitive edge. When we did our surveys, we found that just over 10% of respondents said they used personalization with their emails at least 75% of the time. Almost 40% said they never did it at all. Assuming those numbers hold up throughout all of PR, you have a lot to gain by leveraging personalization in your emails. Without segmentation, personalization is nearly impossible – at least good personalization. Yet, once again, we found that the industry seems to be slow to adopt this powerful concept. 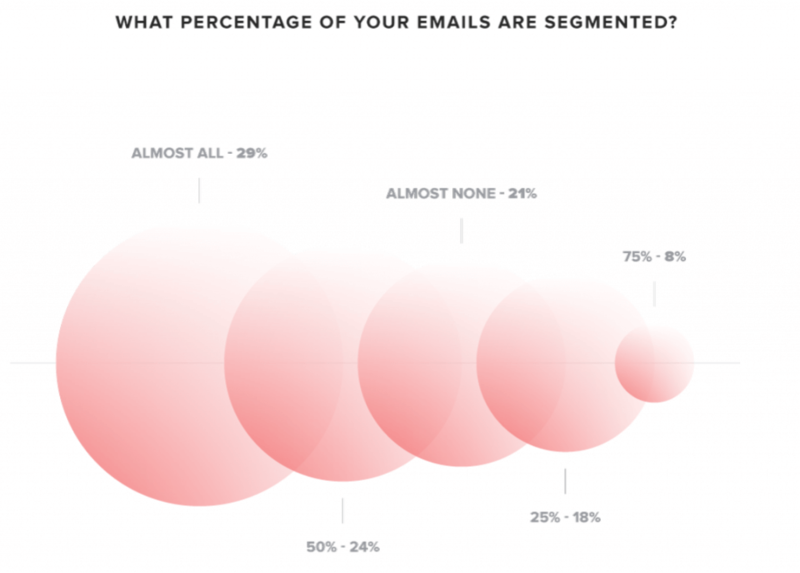 Only 29% of those we interviewed said they used segmentation in almost all of their emails. 21% told us they almost never did. 24% said they did it about half the time. If you’re going to have an email list and you’re going to use personalization to make it useful, you must cut that list up with segmentation. For many PR professionals, this seems obvious and easy. They have two lists: one for prospects and one for people who can help their clients. They might also have a list for a newsletter they send current clients. The problem is that there are a number of lists within those three lists. Even when you focus on just one industry, your list of prospects is probably fairly diverse, depending on their goals, how you got their email address, where they are in their careers (a veteran to be won over vs. a neophyte who’s never had PR), etc. The more you segment your list, the better your personalization efforts will work. How are your current pitches doing with targets? How many are responded to? Hopefully, you know the answer to these questions, but what you may not know is why you’re getting those answers. For example, if an average of 10% get responded to, is that because of the way you format your content? Is it because you use images? How many more opens would you get if you switched to video? This is where A/B testing is so important for PR professionals. A lot of your success depends on the emails you send, which should be all the reason you need to test them and find out what works best. With an A/B test, all you’re doing is sending the same message to a certain segment. Except, you’ll make one change for one of the segments. So, the next time you send a pitch, try two different subject lines to see which one gets the most opens. You could also try one with images and one without, or one with one image and another with two. There are countless ways to test your messages and, thus, countless opportunities to improve them. As you probably know, just one more response could make all the difference for your client. 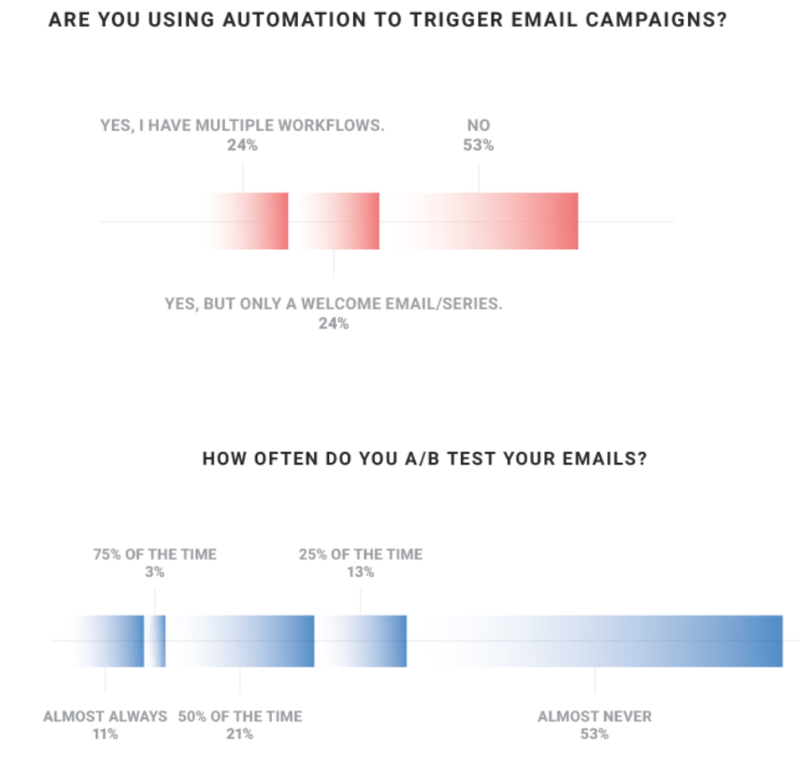 Despite this, in doing our research, we learned that 53% of marketers never do any type of A/B testing with their emails. They just assume what they’re doing is working and, thus, the results they see are as good as it gets. Over the past couple of years, a lot has been made of emerging technologies like artificial intelligence and machine learning. Live video and chatbots have also been positioned as the next best thing for marketers. While this type of technology probably holds some promise for PR professionals, we’re not sold quite yet. Neither, it turns out, are most of the professionals we surveyed. 73% of them told us they have absolutely no plans to invest in any of that over the coming year. One reason for this is that there’s still plenty to be gained by mastering “the basics.” If you haven’t already made the most of email, you’re missing a huge opportunity by moving on to something else. 2019 will most likely be another exciting year for the world of public relations. Some of our beloved best practices will most likely be replaced and, rest assured, more technology will come on the scene. Yet, as we just touched on, email still has so much to offer. If the above insights from our report gave you anything to think about, we hope you’ll put it into action right away. By doing so, you’ll be setting yourself up for your best year yet.